Good. Good Dust Jacket. 8vo-over 7¾"-9¾" tall. 411 pp. Tightly bound. Text is free of markings. No ownership markings. (1) Bumping to top corners. (2) A wrinkle to the top corner of the back end paper. New. Trade paperback (US). Glued binding. 440 p. Contains: Illustrations, black & white. Albert Schweitzer Library. All Editions of The mysticism of Paul the apostle. 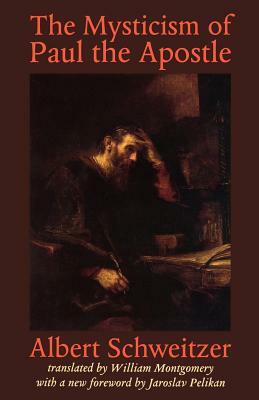 This work is Schweitzer's speculation about Paul. It is very heavy reading and requires (for me) a second read. Bear in mind that this is his opinion, which may or may not be true to the heart of the Pauls message.